I’d like the clients who’ve chosen Free shipping to get Cash and Bank transfer payment methods only. However, the clients who’ve chosen a courier should be able to pay using Bank transfer, Cash, as well as online transfers. I need the conditional shipping payments. 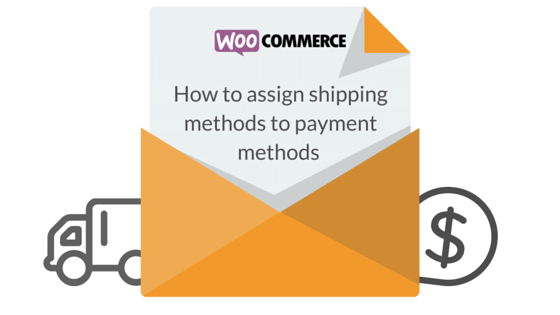 Unfortunately, WooCommerce – the out-of-the-box version – does not let you assign payment methods to shipping methods. This option is only available when it comes to Cash on Delivery, which can be displayed along with select shipping methods. Other payment methods will be shown every time, regardless of the shipping methods chosen by the client. It can be a nuisance to the sellers who, e.g. do not want to offer the option of paying using the online transfers with notoriously high fees. This is why we created the Active Payments for WooCommerce plugin! We wanted to solve the problem for WooCommerce shop owners and we wanted to make it as simple as possible. Users may mix and match payment and shipping methods any way they please. To make it even easier to understand, all the conditional shipping payments options are displayed in a table. Because of the fact that brokers offering online transfers often have very high fees, we also added the option of disabling select payment methods when a price is higher than the one determined by the seller. Since large payments may mean excruciatingly high interest rates, we made sure that is is possible to disable some methods of payment.